Hope you all had a great weekend! My boyfriend and I spent the weekend at the lake enjoying the last few weekends of summer! There's nothing better than boating, jet-skiing and relaxing out on the water! 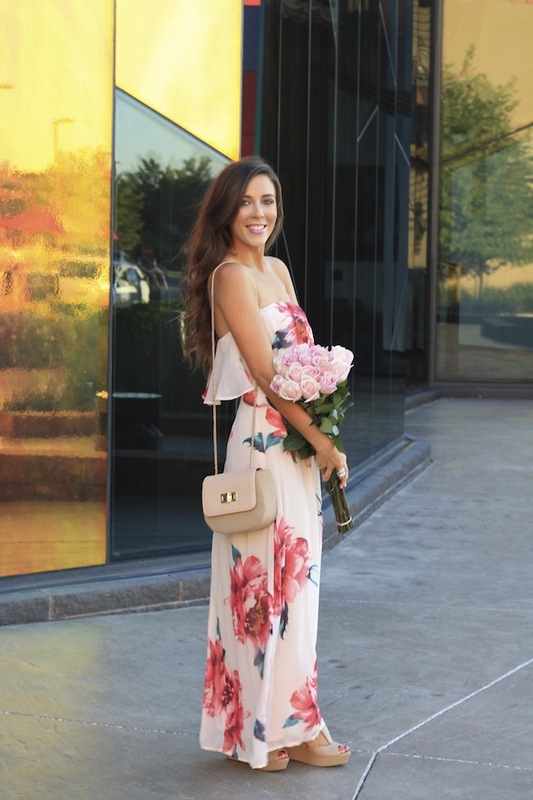 I wore this pretty, floral maxi dress last week for date night and church- it's so figure flattering and lightweight. And the best part is it's only $52! It's the perfect August-September wedding date dress! Plus, my purse is under $30 and my wedges are under $40! Such great last-minute summer steals! Thanks for stopping by! Have a wonderful week! My boyfriend gifted me a similar maxi dress when I was selected as the best student in the class, as he inspires me to study hard and complete my post graduation before we get married. I loved wearing the beautiful dress when I invited him at home to have a dinner with my family.